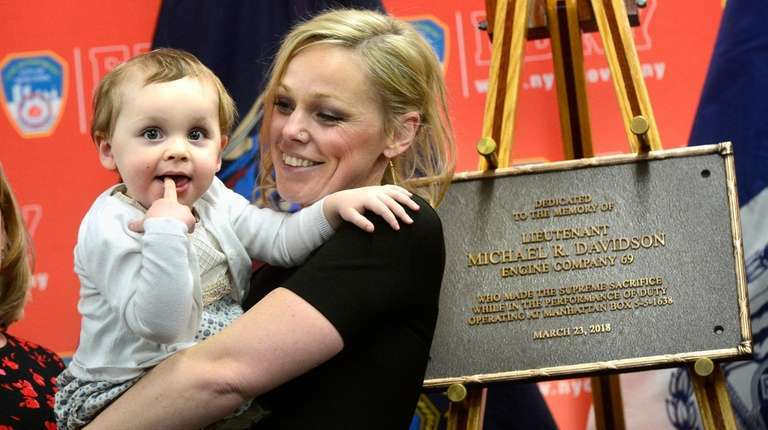 The FDNY dedicated a plaque in memory of Michael Davidson, a 15-year veteran firefighter and Floral Park father of four who died a year ago while battling a fire beneath a shuttered jazz club in Harlem. 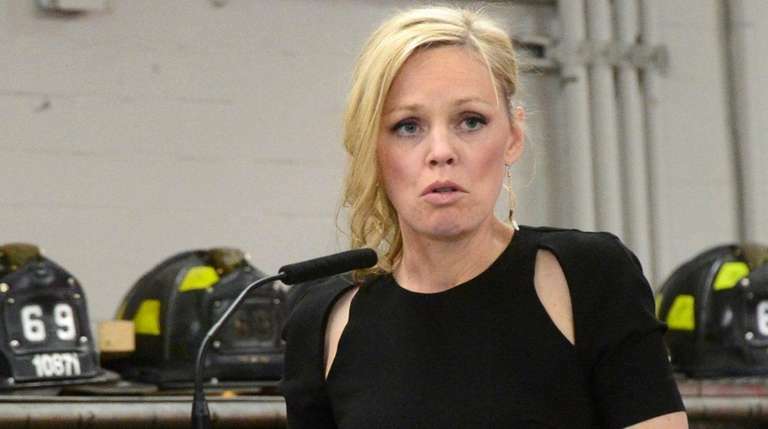 Michael Davidson and his wife, Eileen, were reveling in the family’s sudden reversal of fortune the night before he was killed fighting a fire for the FDNY, she recalled Saturday. Eileen’s second bout with cancer had been cured. The rare lung disorder that had sickened their youngest child, Amy, was at last improving. The couple had finally settled into a dream home in Floral Park. That was March 22, 2018. 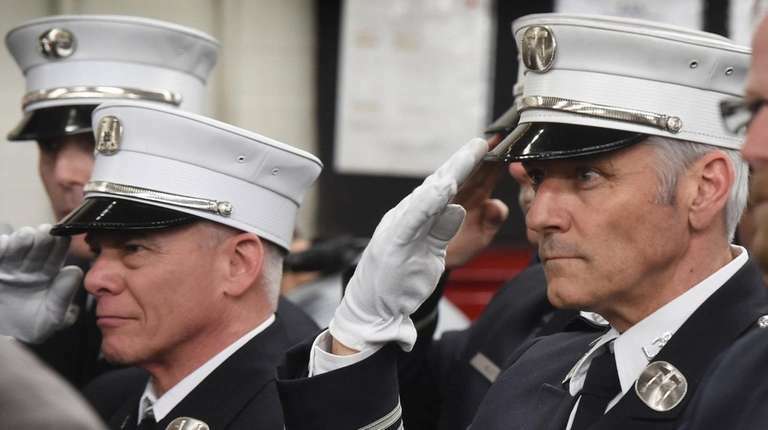 On March 23, Davidson — a 15-year veteran firefighter and a Floral Park father of three girls and a boy — died after being felled by a fire beneath a shuttered jazz club being used for the Edward Norton movie "Motherless Brooklyn." 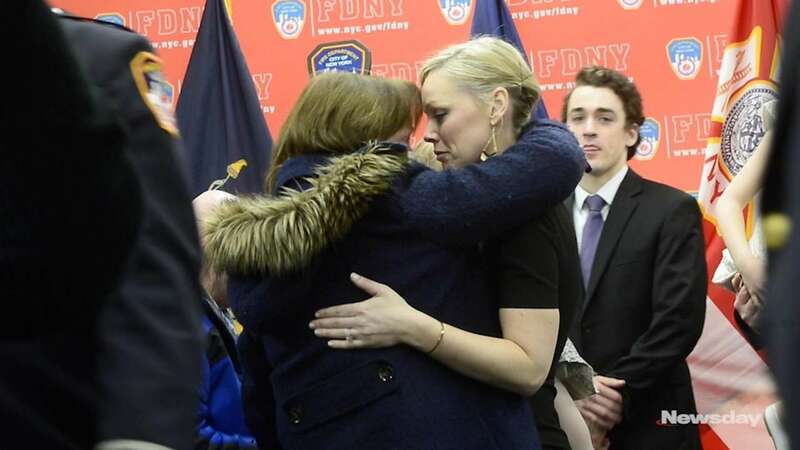 At a ceremony Saturday to honor Davidson inside his Harlem firehouse, hundreds of firefighters saluted him and his family, including his retired firefighter dad, firefighter brother, the four young children and widow, as the department dedicated a plaque in his memory. Davidson, 37, was assigned to be the nozzle man the night of the fire, exactly a year ago, in the cellar of 773 St. Nicholas Ave., with Harlem’s Engine Company 69. Holding the nozzle to direct the stream of water is the firefighting job closest to the blaze — and the danger. 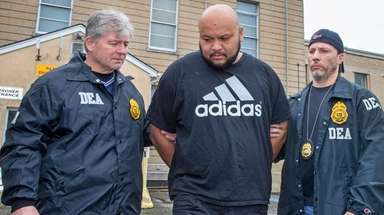 He was not able to escape after being called to retreat because the situation was too dangerous. 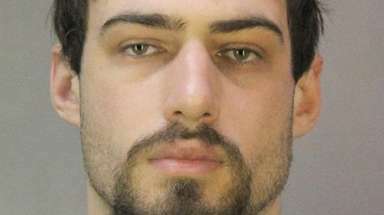 Fellow firefighters soon realized Davidson was missing, went back in and found him unconscious. On Saturday, a banner with his photograph hung inside the firehouse, along with his battered jacket, a nozzle and a cross. 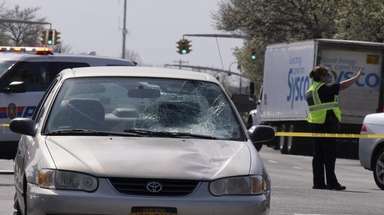 Davidson was posthumously promoted to lieutenant. Eileen Davidson fought back tears as she described the hole left in her family’s life by the death of her husband — whom she met at 21 when she was stricken with cancer and bald from chemotherapy. She recalled family dance parties, Christmases and barbecues and home renovations, and her husband dressing up as Spider-Man and boosting neighborhood kids up onto the rig, the kids cheering when they blasted the horn.